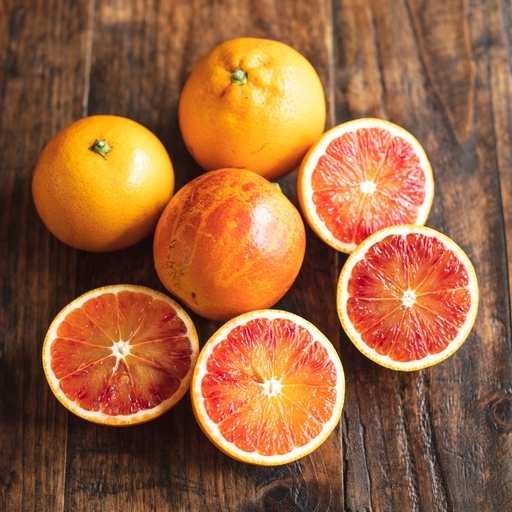 Glorious, juicy organic blood oranges from the foothills of Mount Etna in Sicily. Grab while you can – the season is short. Varieties include Moro, Tarocco and Sanguinello; their colour ranges from lightly blushing to deep ruby, but the sweet, refreshing flavour stays the same. They’re unwaxed, so you can use the zest in cooking too. As well as eating the fruit as it is, try them sliced with salad leaves and the juice squeezed into dressings or chilled Prosecco for a seasonal cocktail. Blood oranges have thin skins and are best eaten fresh rather than stored. They’ll last longer if you keep them in the fridge.